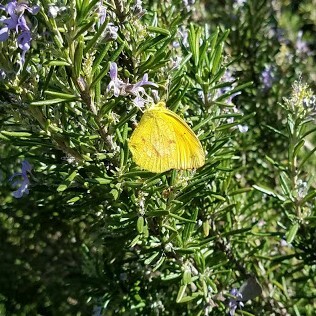 As I was walking past the rosemary bushes, a gust of wind blew through and butterflies scattered. It was like a cloud of them. I had not even noticed them before the wind sent them scattering. They quickly returned and I grabbed my phone to get photos. I think there might have been a few moths in there too but they aren’t usually out in the middle of the day so . . maybe it’s all butterflies, maybe not. 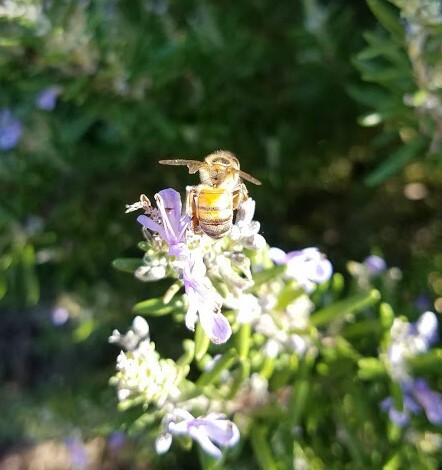 After getting a few pictures of the butterflies, I noticed the bees. 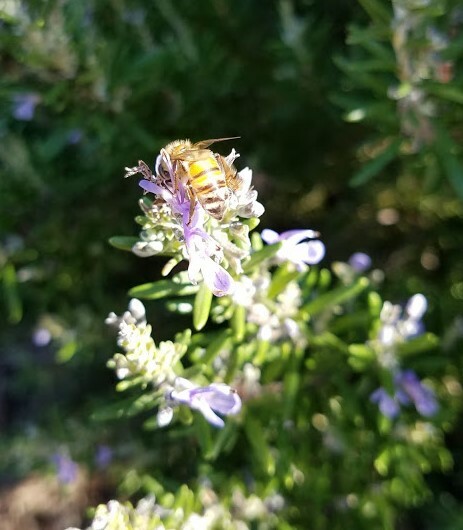 So nice to see the bees and butterflies in that blooming rosemary! Those two rosemary bushes on the east side of the house are taller than I am now. I’ve never had rosemary grow like that. The zero degree winter nights, the ice, the 115 degree summer days . . nothing seems to slow it down. That is one of the things I miss about living in Texas. I also miss fall vegetable gardens with produce almost until Christmas. Thank you for sharing the memories. 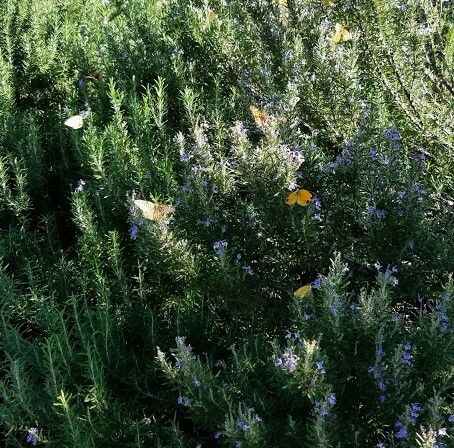 Maybe Vince would restart his beekeeping project – can you imagine the wonderful honey from those rosemary bushes…. Oh, that’s wonderful that you have a good little ecosystem going there! That’s glorious! Our rosemary usually dies in the winter. I’ve had them make it, only if it’s a mild winter. I love them. What a treat! Rosemary is pretty hardy, as I’ve discovered in TN.